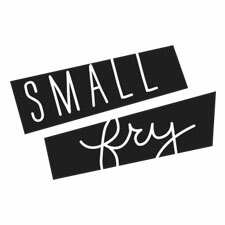 For our second installment of Meet a Small Fry we had a little chat with Zuri. She’s an old soul and incredibly mature for her age, but still so zesty and full of life. She’s such a great example of positive parenting, and, as you’ll see, has great self-esteem! What does your mom do? All fun stuff with me all the time. What does your dad do? Work allllllll the time! Hims does People Water and goes places where kids dont have a lot of stuff… And thems water is yucky. What is your favorite color? Pink! What do you want to be when you grow up? A mama and a doctor. What food do you not like? I used to love hotdogs, but now I don’t. Ummmmm, I don’t care…California? Where’s there’s sand? Ugghhh, (turns to Weslie) Mom! (Hardly audible…) Justin Beiber. What does dad say? Nothings, sometimes he even says bad words! What does mom say? To be kind, be nice, I’m cute. What do mom and dad do after you go to bed? Go sleep in their beds. What is your favorite song? Justin Beiber. Chick-fil-a! Only the ones with the kids place inside though..
Where did Remi come from? Mama’s belly. What is your favorite thing to do? Play outside. What would you buy with a million dollars? Food and treats. Why is the sky blue? I dont know? Cause in pictures it is too? How would the world be different if animals could talk? What!?!? Weird. Well, it would be freezing. If you could be invisible for a day, what would you do? Sneak into Disney land and go on everything. What are 5 words that describe you? I remember everything! I’m nice, I’m so funny, I’m smart, and I write my name. What was a time that you felt lucky? Ummmm. When I met my friend Maddison at the pool. My mom should have to go in timeout! If you could give a gift to every child in the world, what would it be? My old necklace that I don’t play with anymore. What is your favorite place in the world? My house… and the condo in Hawaii! To read more about Zuri and her family, head to their blog Love Chugs. she is so adorable. I smiled while reading her fun answers!!! Haha – what a cutie. This one made me smile on an off Monday, for sure. I know there are a lot of people who rep People Water, but I thought that one bachelor guy was a People Water CEO as well…what was his name…Jef Holm!? I could just picture her answering all the questions. Love that zuzu monster! She is adorable and I loved her cute 4 yr old little answers! I follow Lovechugs and have completely fallen in love with sweet Zuri, Remi, Weslie and Bronson. They are so sweet and are great role models for young people and parents. Love this fam!